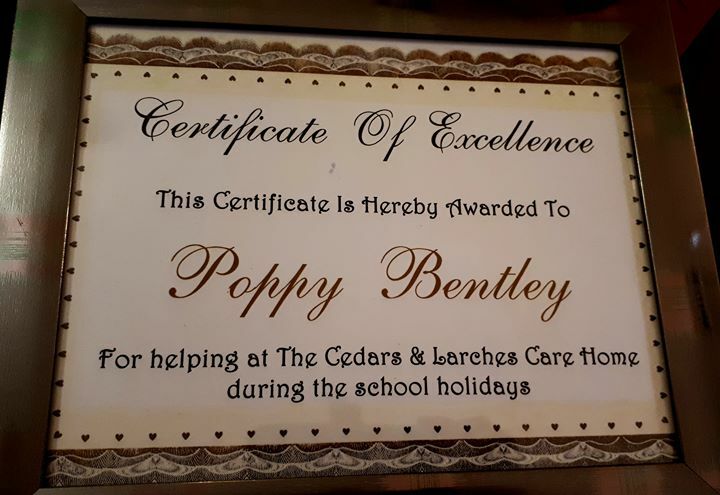 Poppy Bentley, a year 9 student at Kirk Hallam Community Academy, has given her time up in the six week summer holidays to come into the Cedars and Larches care home, joining in activities, keeping the residents company and completing a work book about life in a care home. Poppy said it had kept her busy and she had found it interesting. 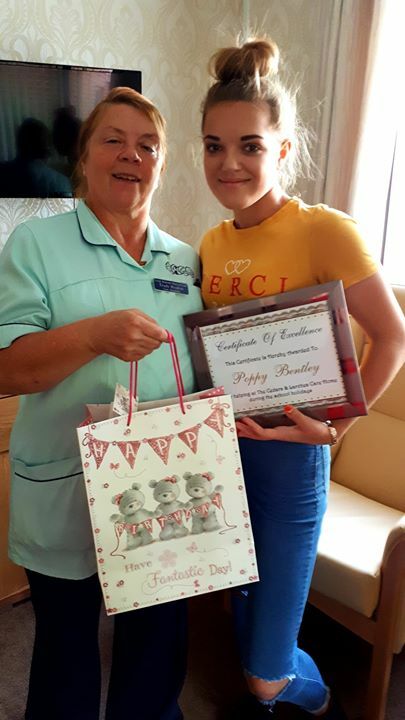 Poppy was presented with a certificate of excellence and some gifts by care assistant Trudy Boulton who thanked her for giving up her own time to help in this way.